An accomplished and fiery improviser in multiple genres, Irish-born violinist Colm O'Riain has performed at festivals and venues throughout the world from Argentina and Brazil to Sweden and Vietnam while also thrilling audiences across the United States. Hailed as a "genius fiddler" by Mike Scott of The Waterboys, Colm and his Band of Brigands enthrall audiences with their weaving of modern Irish music with rhythms and melodies from Jazz, Blues, Brazil, Cuba, India, the Roma diaspora and Africa. Closer to home, the Irish Herald alleges that "O'Riain's fireworks display of virtuosity easily spans the diverse genres of gypsy, tango, jazz, blues and Irish music all with his characteristic intelligence and pizzazz." 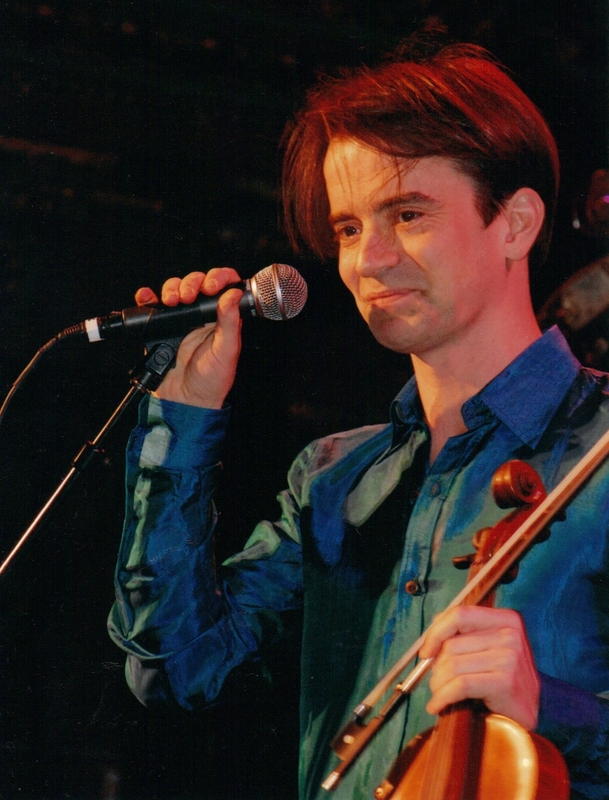 Colm's performances also draws deeply on his background in Western Classical Music - he was formerly the Concertmaster of the National Youth Orchestras of Ireland - while as a composer, Colm has written for many types of ensemble: the Band, string quartet, jazz sextet and full orchestra, including film soundtracks. His CD "Bridge Across the Blue," produced with partner-in-crime, poet Pireeni Sundaralingam, features a dazzling array of musicians and poets and was cited by About.com as "one of the Top 7 recordings of poetry and music of all time."